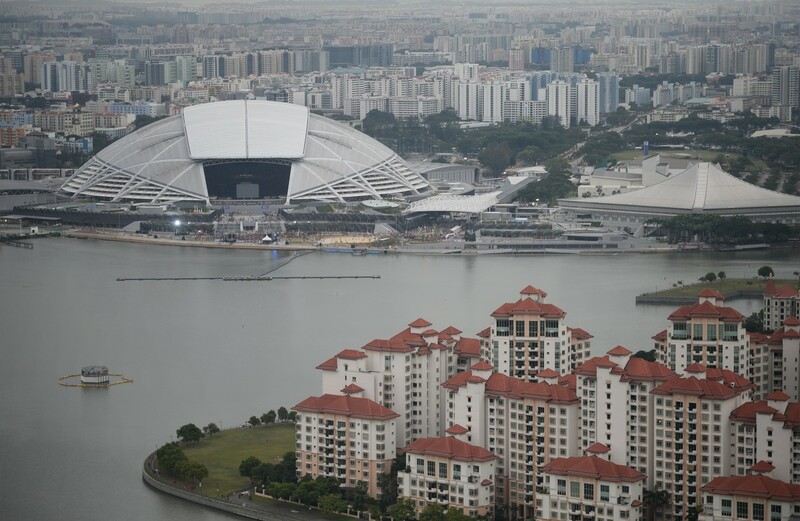 With less than six months to the SEA Games, the Singapore Sports Hub has decided to abandon the problem-plagued pitch at the National Stadium. 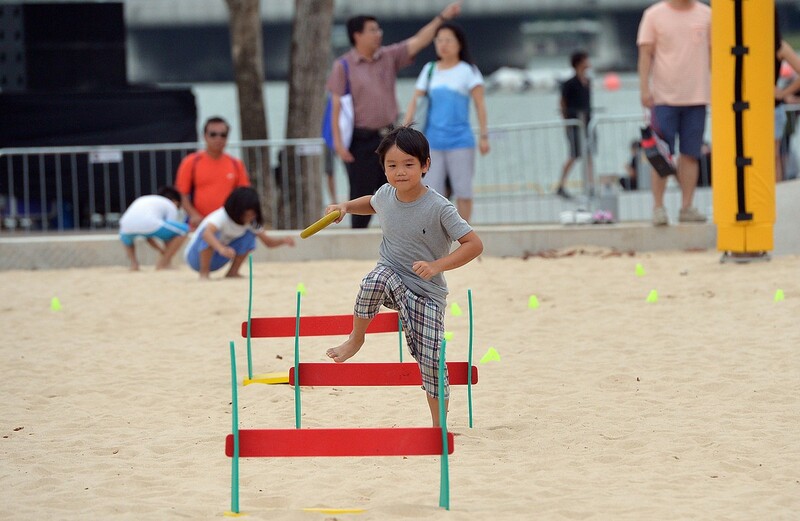 Instead of the current mix of synthetic and natural grass, the new pitch will be all-grass. 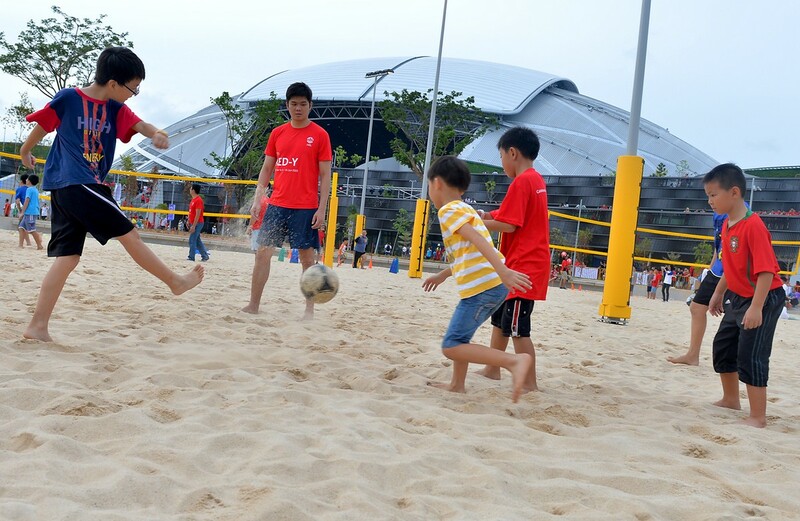 The grass will be grown at a nursery before being brought in and laid out at the stadium ahead of the June 5-16 Games. 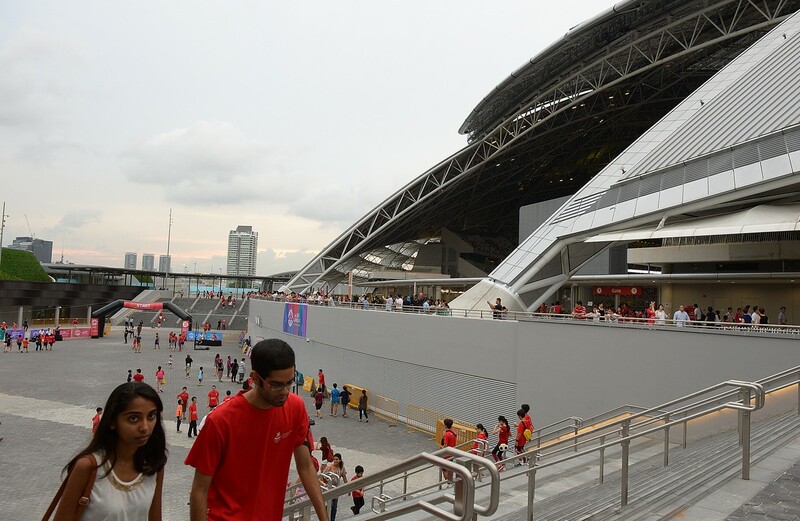 Enough grass for a second pitch will be maintained at the nursery, and it will be used to enlarge the pitch for sports that need a bigger surface, such as cricket, or to fix "excessive wear and tear", SportsHub chief executive Philippe Collin-Delavaud said in a statement yesterday. 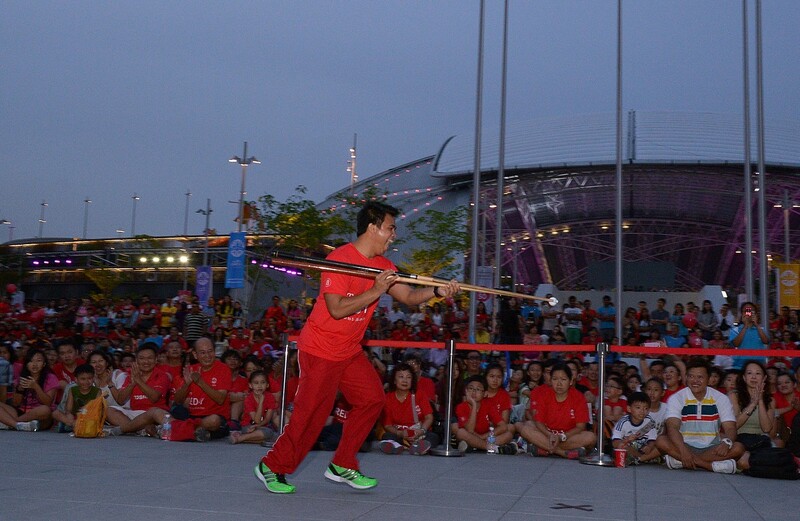 He said the Sports Hub was working to deliver "a first-class natural pitch solution". 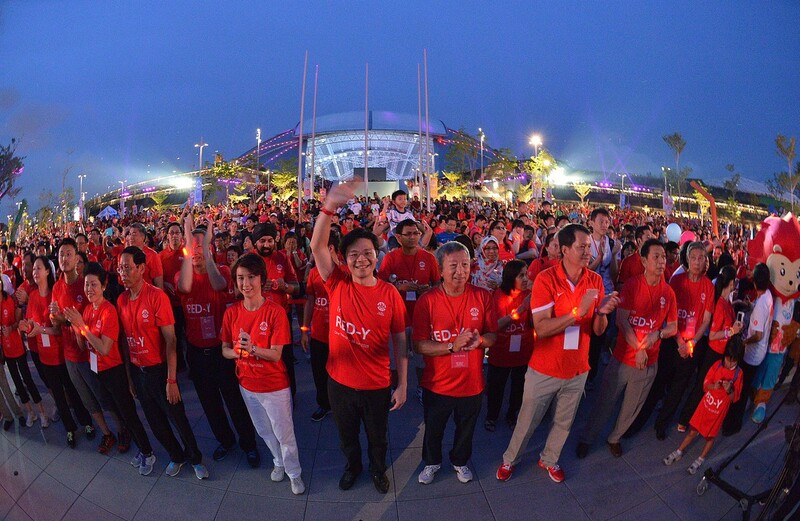 He did not say if switching to an all-grass pitch would be a permanent solution to the stadium's problems, or what it would cost. 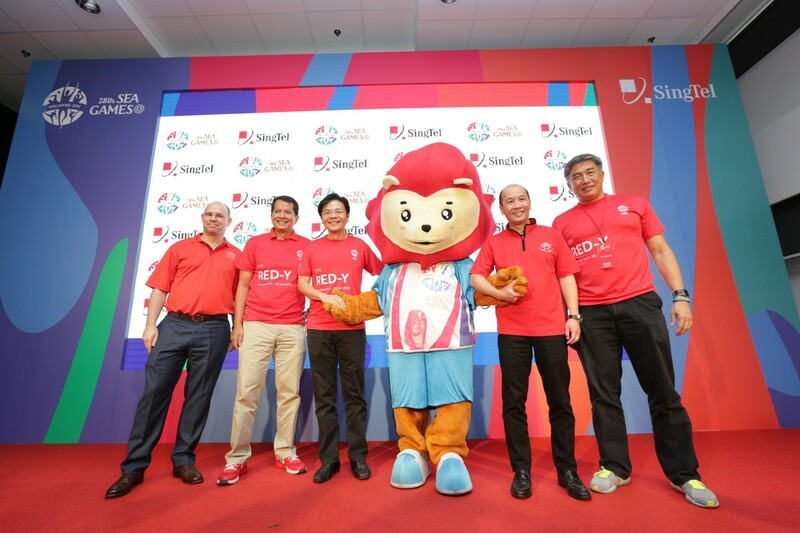 But he said all costs would be borne fully by SportsHub Pte Ltd and not passed on to spectators or event organisers. 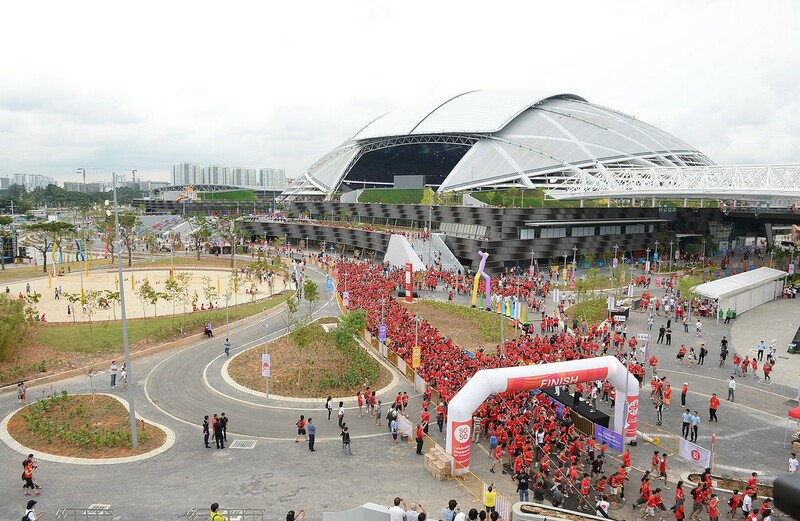 The National Stadium is the centrepiece of Singapore's $1.33 billion Sports Hub, which opened six months ago. 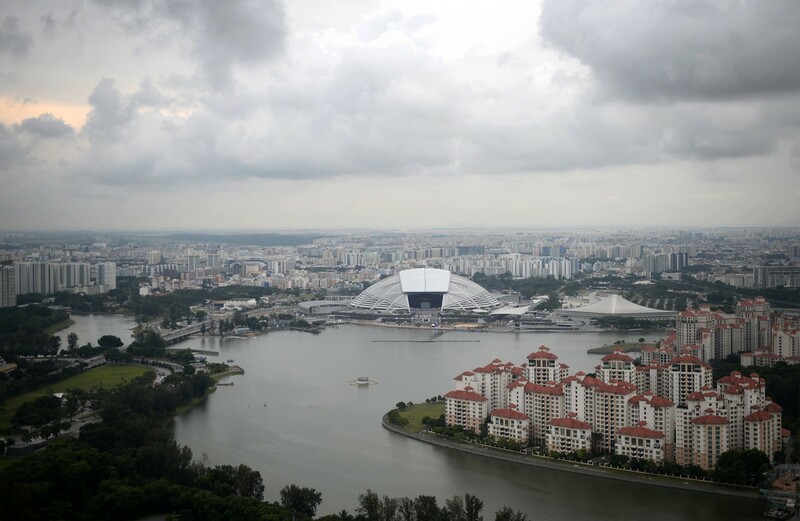 The stunning Kallang landmark has drawn much praise, but the stadium pitch has been criticised for being well below expectations of a top venue for sports, entertainment and other events. 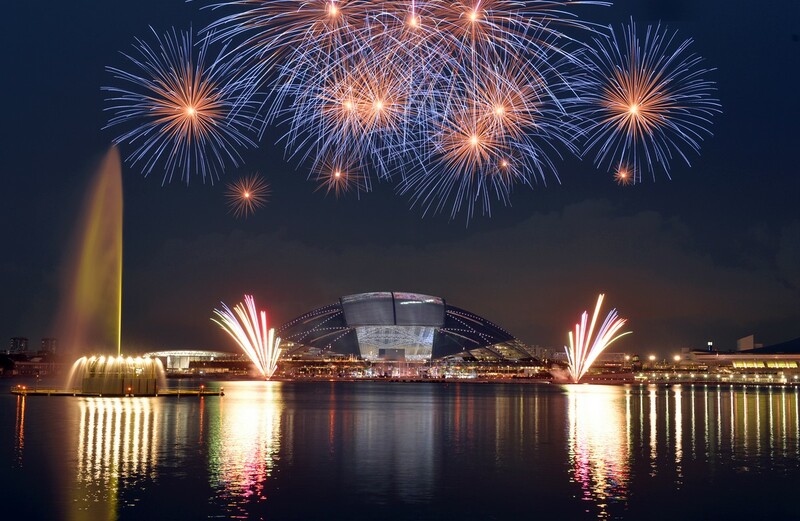 The $800,000 Desso GrassMaster field was chosen after a 15-month search that compared more than 20 types of grass. 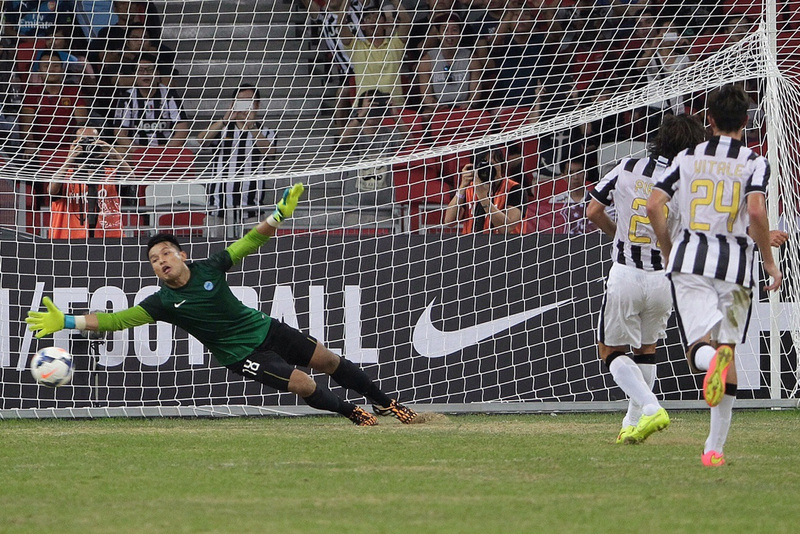 But the grass did not take hold or grow evenly, the pitch appeared patchy and sandy, and it looked bad on television. 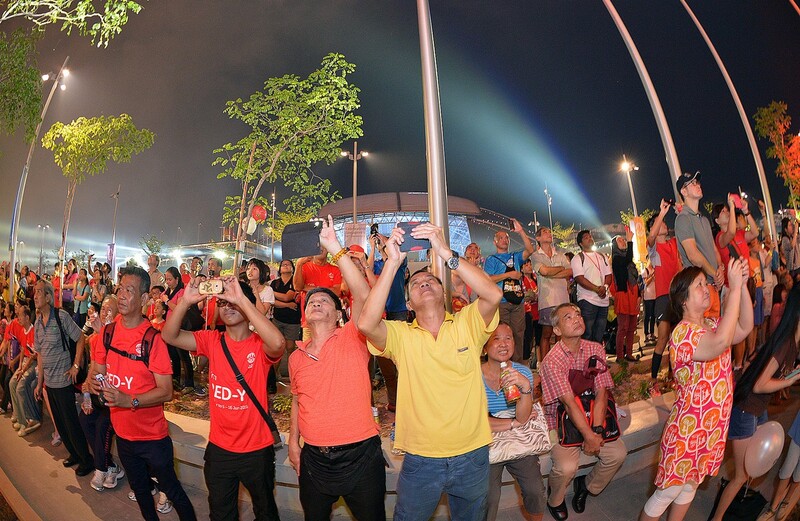 One problem was the stadium's partially covered design which does not allow sunlight across the entire pitch. 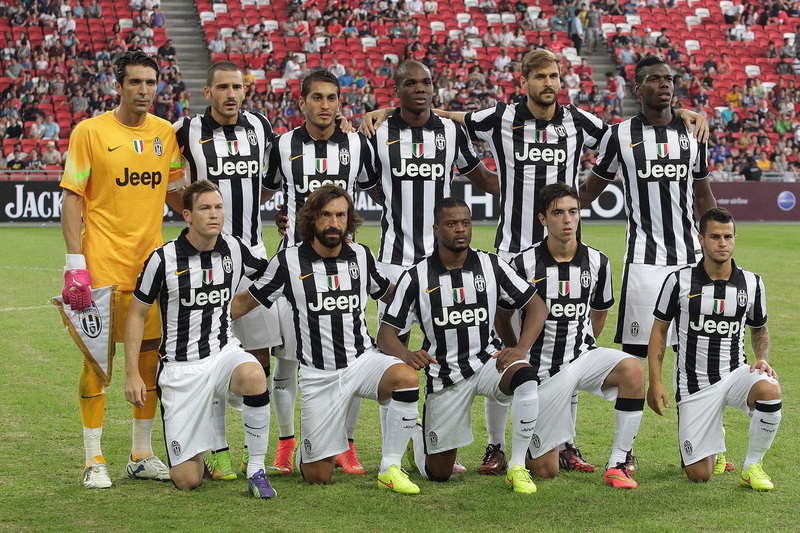 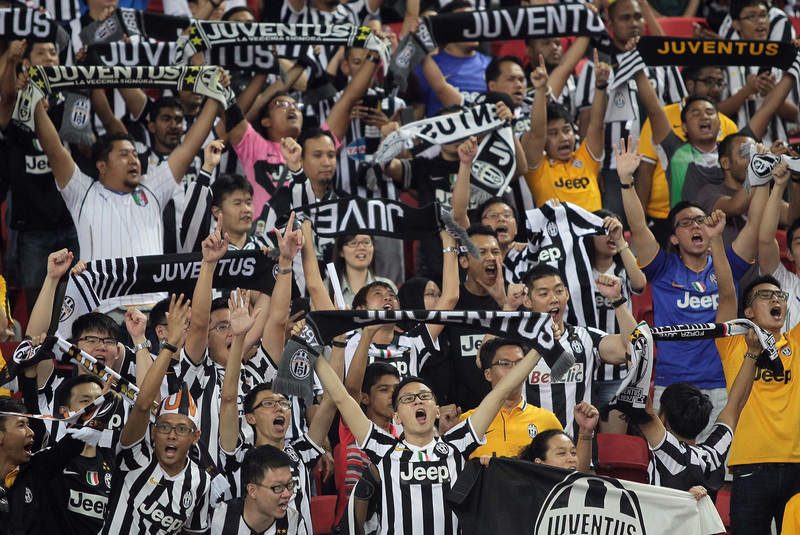 The pitch was panned for falling short of international standards by top visiting football teams, including the Brazil national team and Italian Serie A champions Juventus. 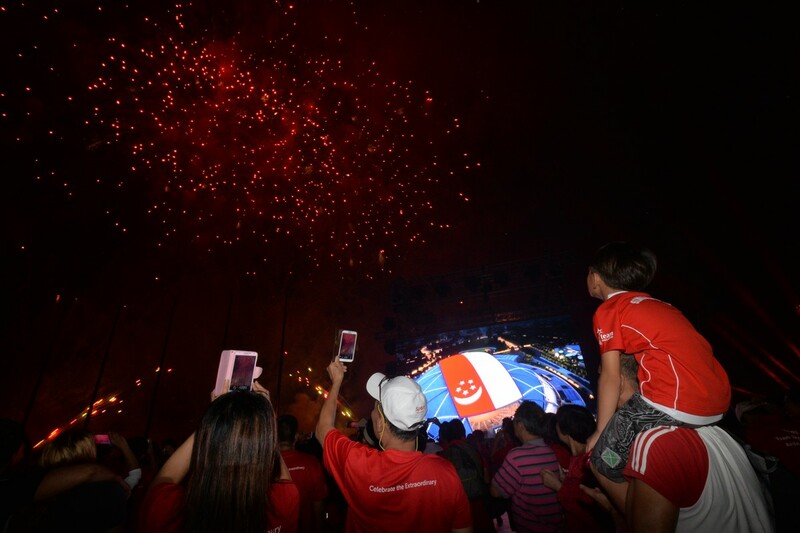 Stung by criticism, the Sports Hub swung into action ahead of the AFF Suzuki Cup, spending $1.5 million in October on special lighting machines to stimulate grass growth in parts of the pitch with insufficient natural sunlight. 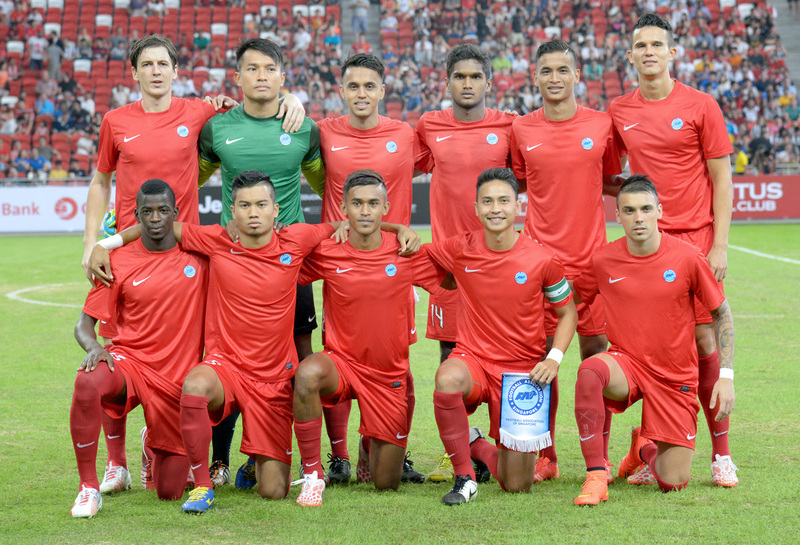 Mr Collin-Delavaud said the pitch was "playable" when three recent Suzuki Cup matches were held there, but the pitch remained "not robust enough for multi-purpose and intensive usage". 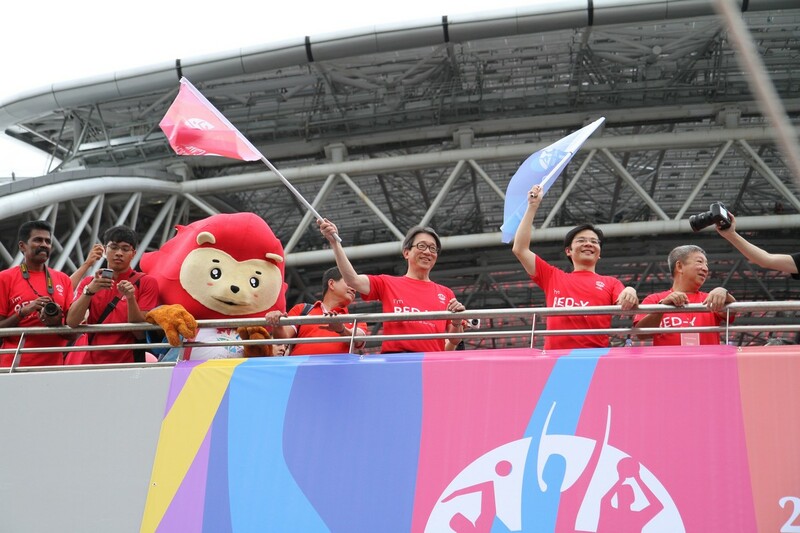 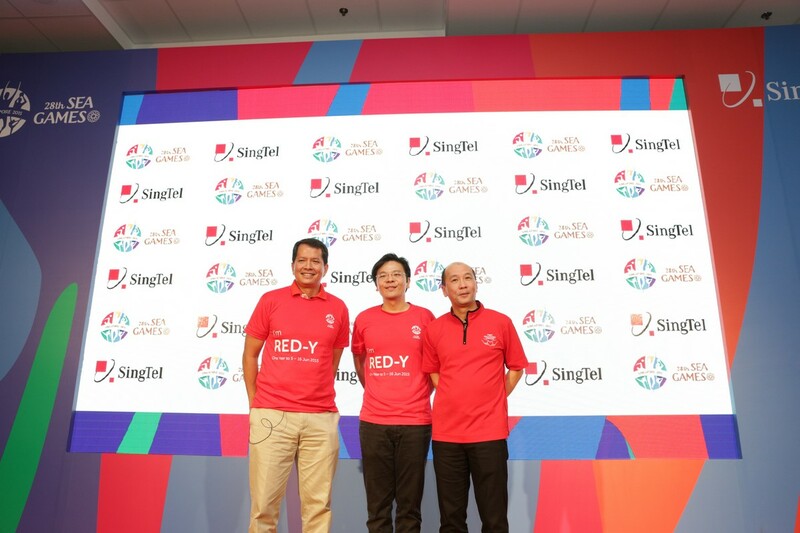 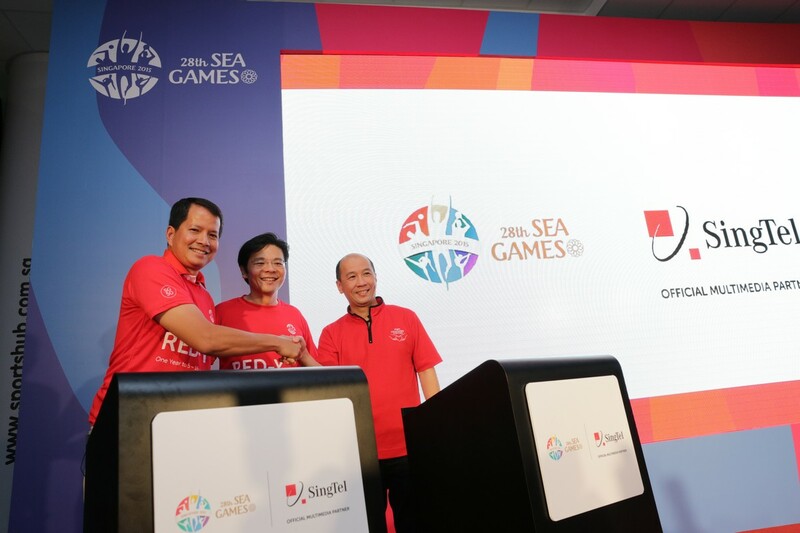 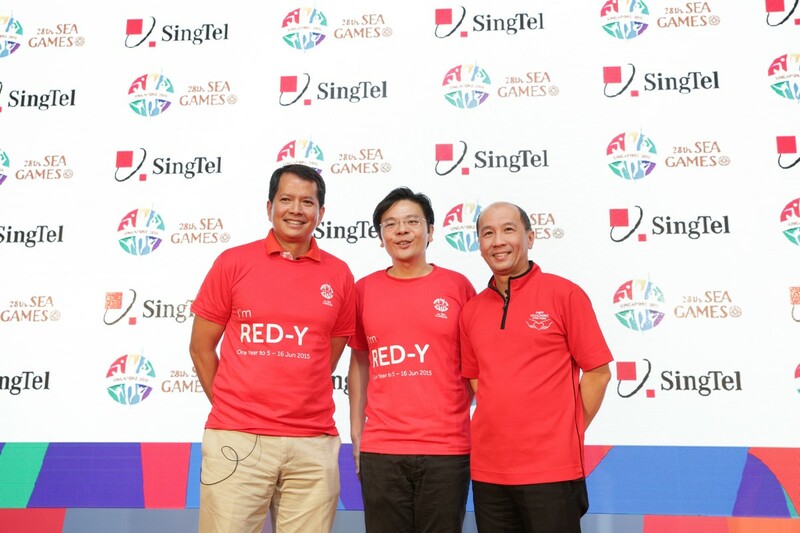 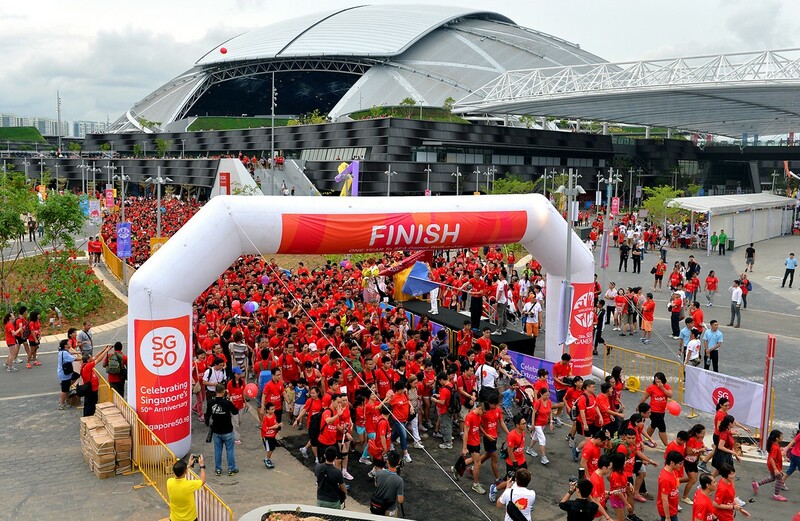 Next year's SEA Games, a key item on the calendar of events to mark Singapore's 50th jubilee, will involve heavy usage of the stadium for events like athletics and football, as well as the opening and closing ceremonies. 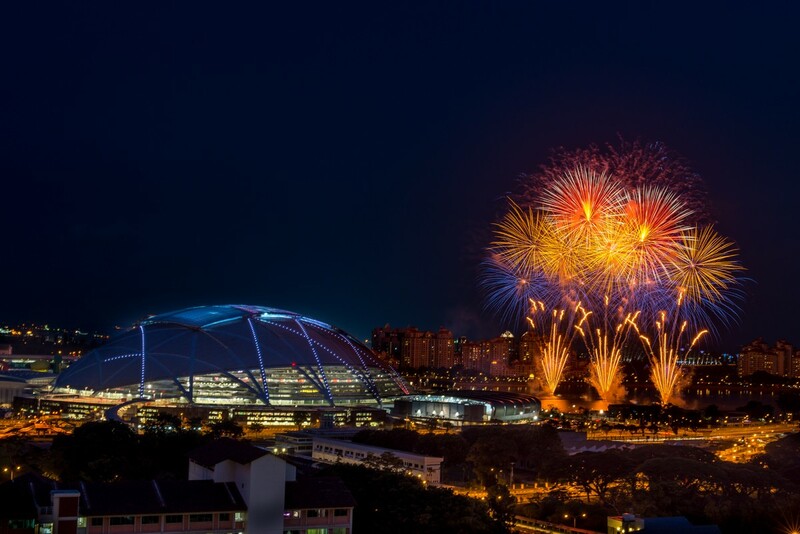 The Sports Hub is now in the midst of choosing the nursery that will grow its grass, selecting the type of grass and picking a qualified contractor who will be able to lay out the grass in the stadium. 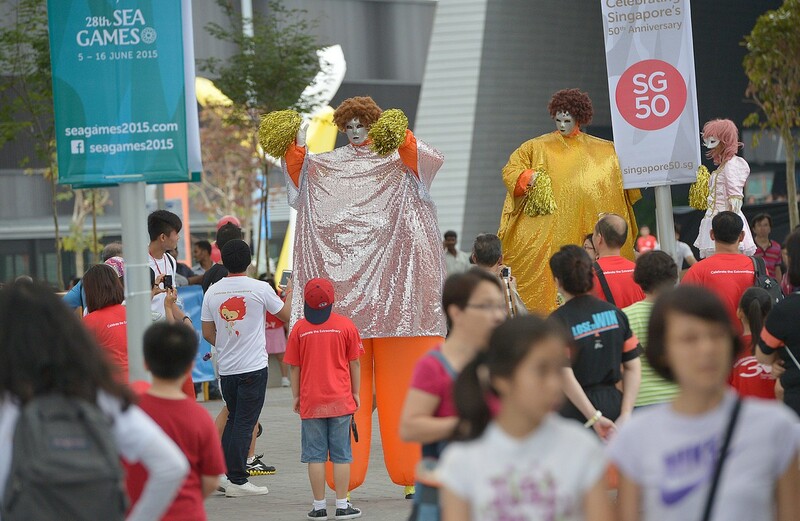 They will be named soon. Said Mr Collin-Delavaud: "This 'lay-and-play' solution has been successfully adopted in many stadiums around the world for hosting major events in different sports. 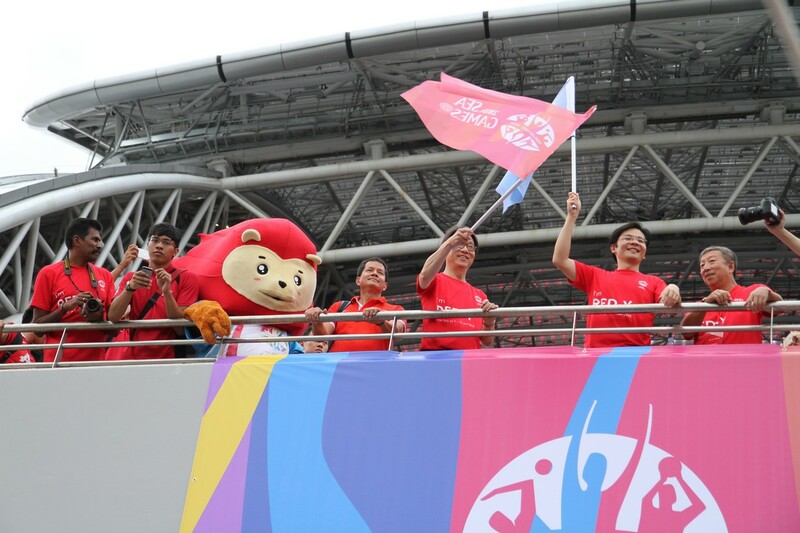 "These include the 2000 Sydney Olympics, the 2003 Rugby World Cup, the 2006 Commonwealth Games, the 2006 Asian Games and the 2011 Rugby World Cup." 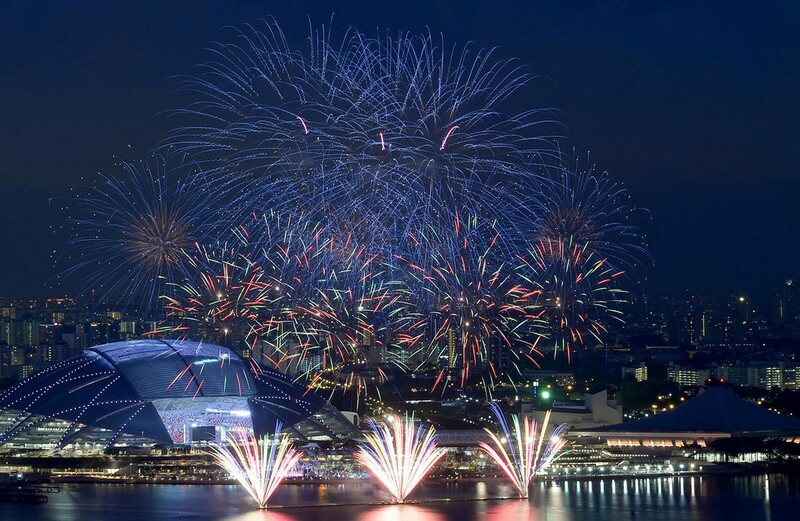 About 8,000 sq m of grass is needed for one football field and would take a few days to transport, said Mr Hiroi Koichi, who works for Japanese landscape company Zoysian. 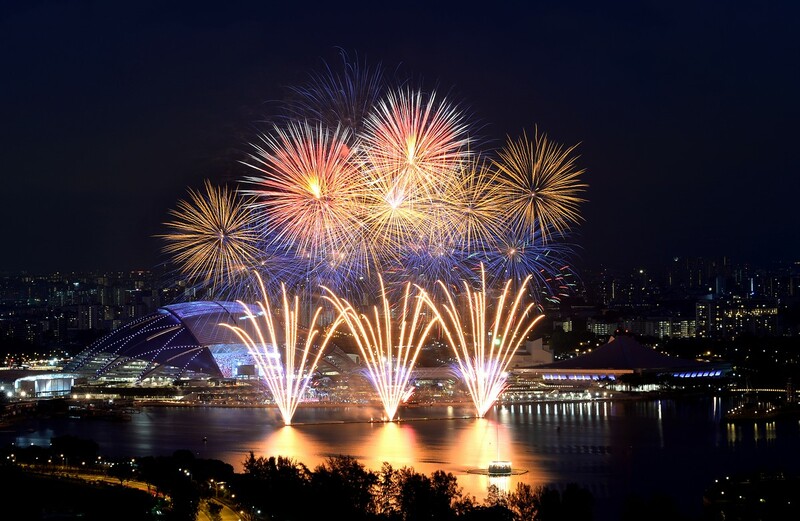 "But even with an extra and larger field, that is not a big quantity for a commercial nursery," added the Johor Baru-based independent field expert. 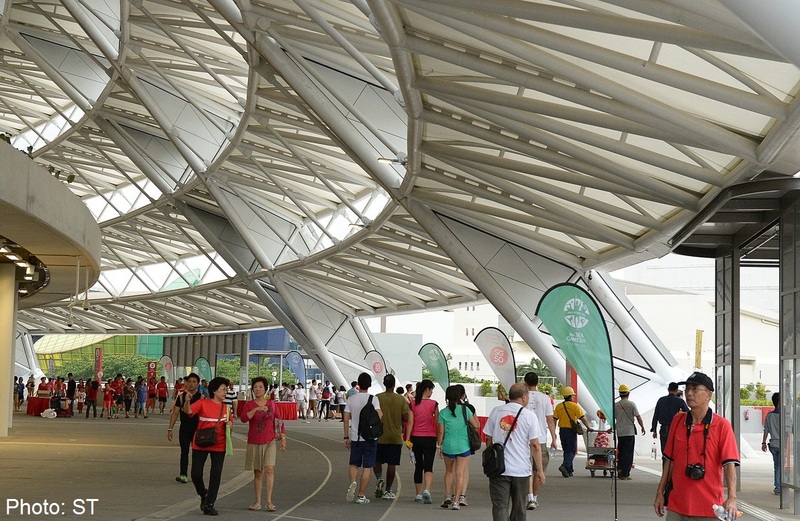 Persisting with the current field has been costly for the Sports Hub. 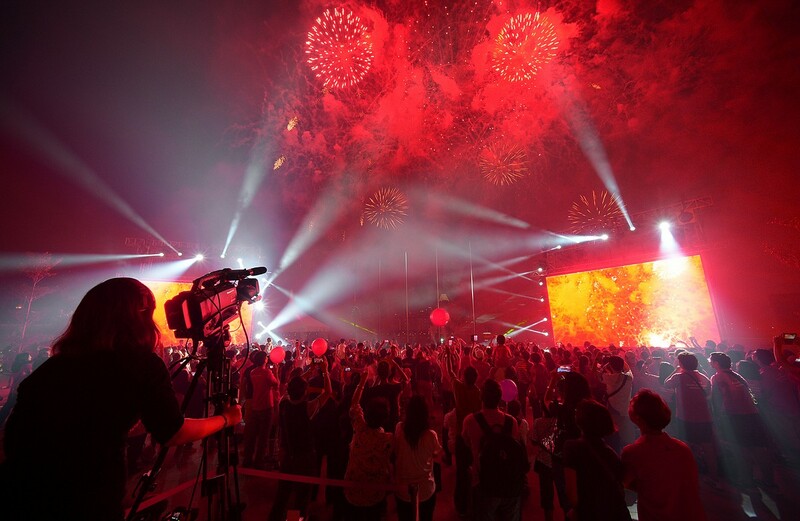 The impact will be minimal on the scheduled events in the coming months. 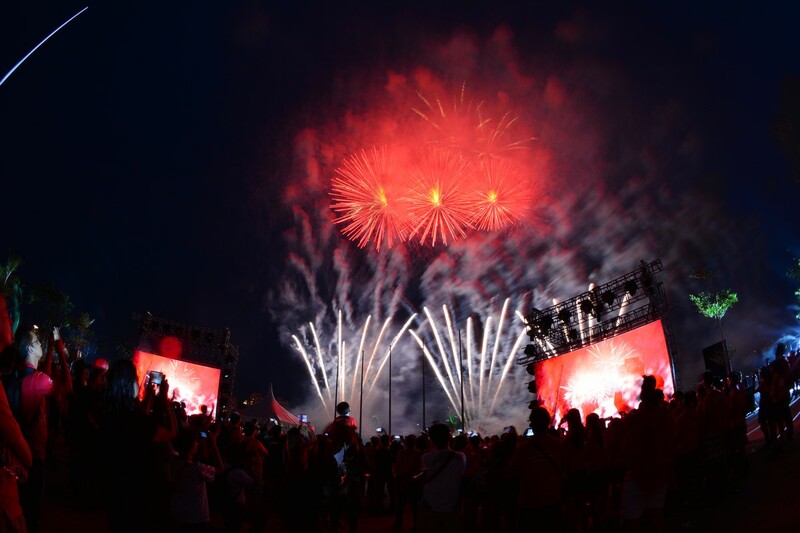 Taiwanese superstar Jay Chou's concert this Saturday and British boy band One Direction's gig in March will go ahead as planned, with a protective cover being placed on top of the existing playing field. 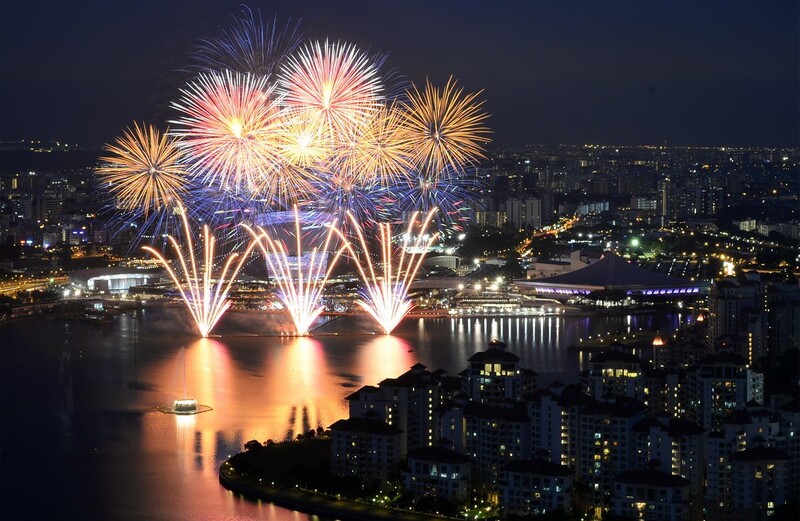 This article was first published on Dec 21, 2014. 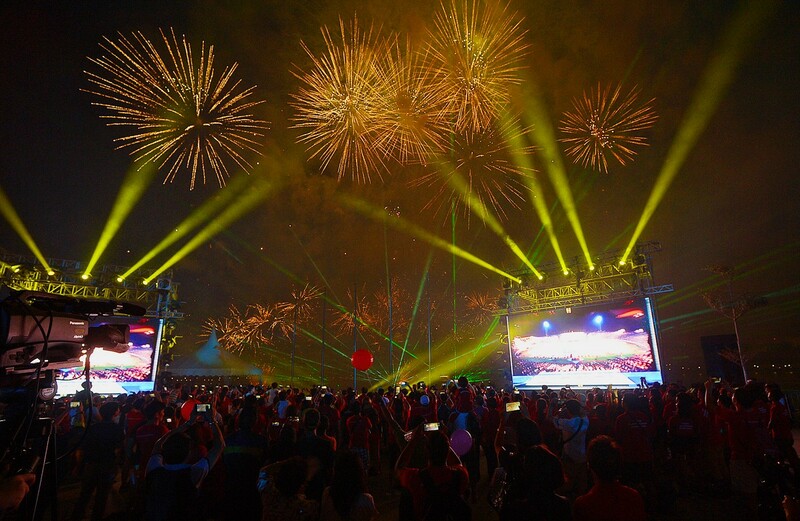 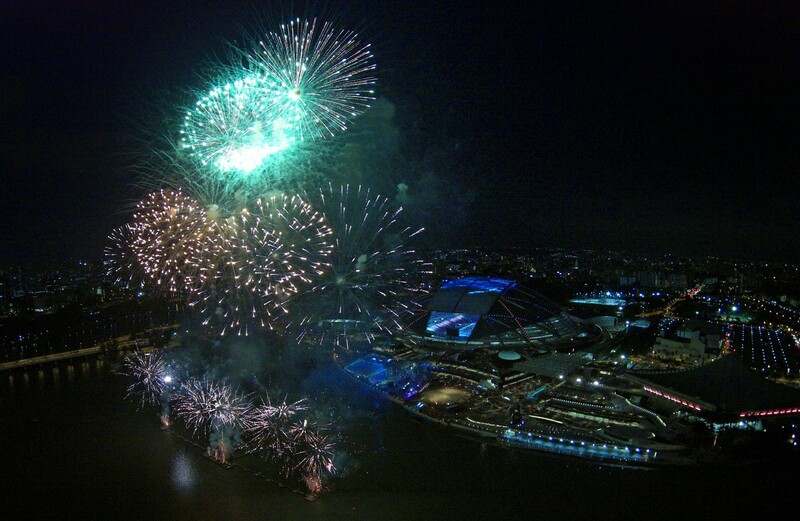 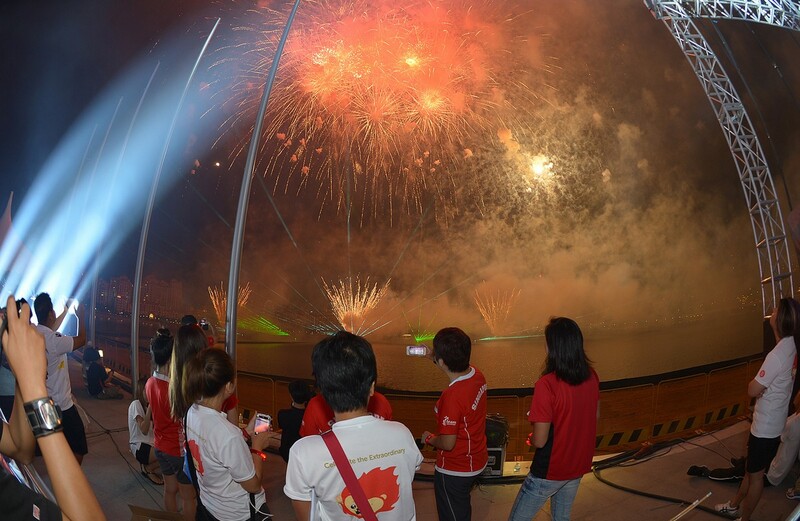 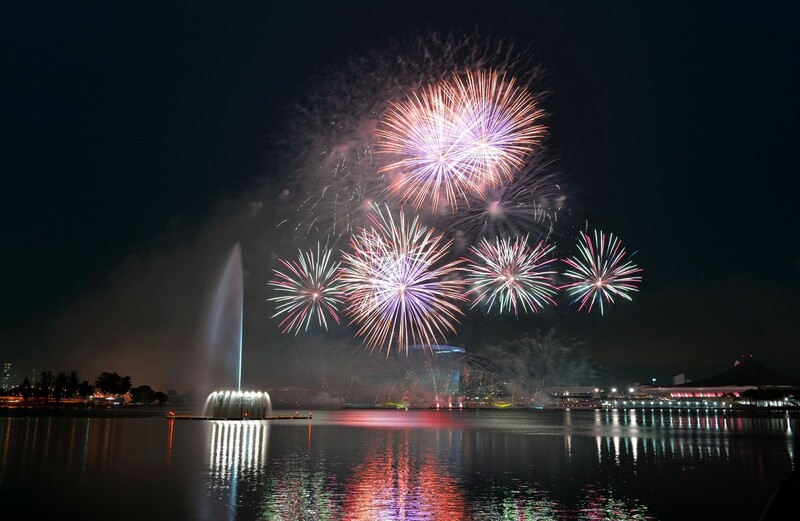 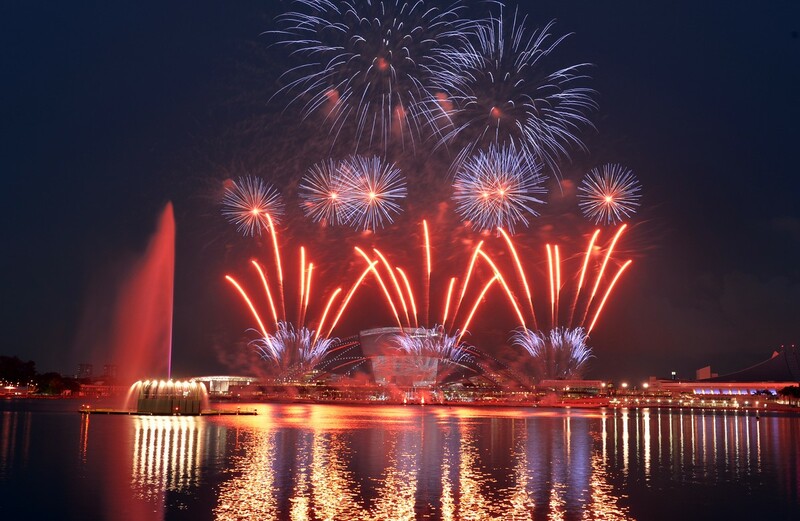 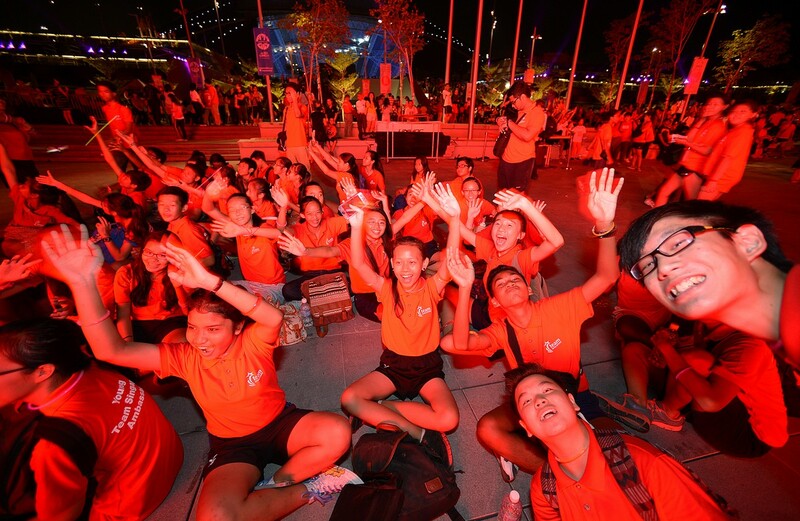 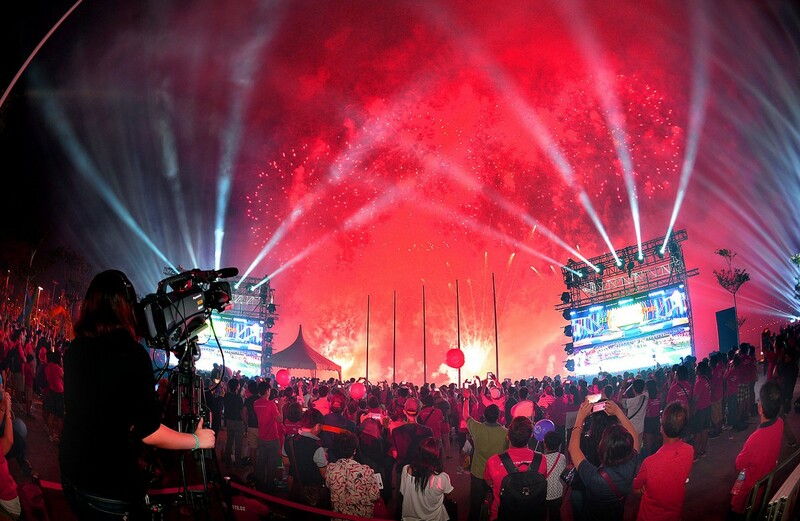 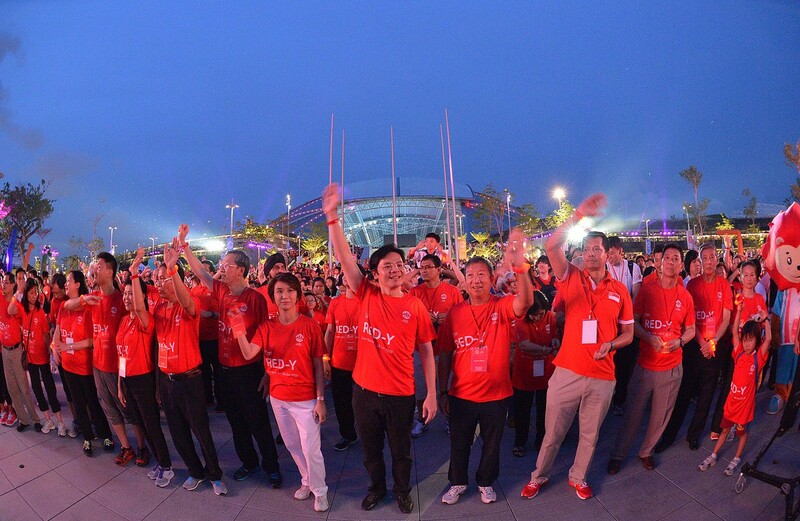 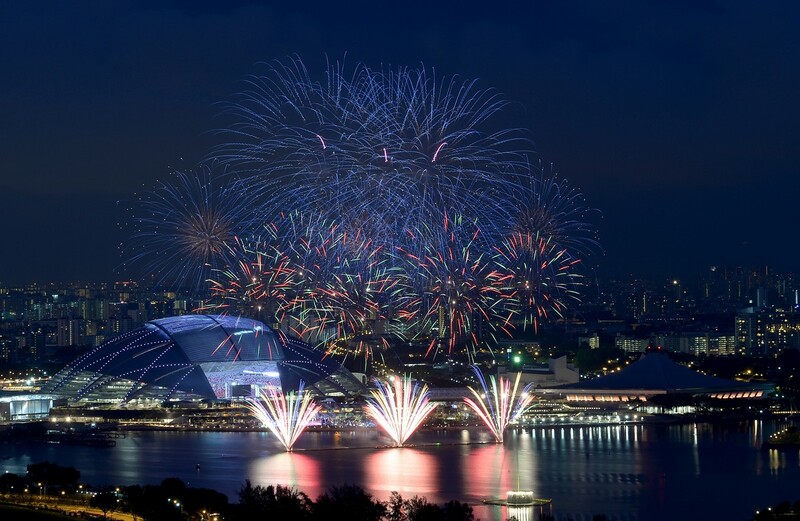 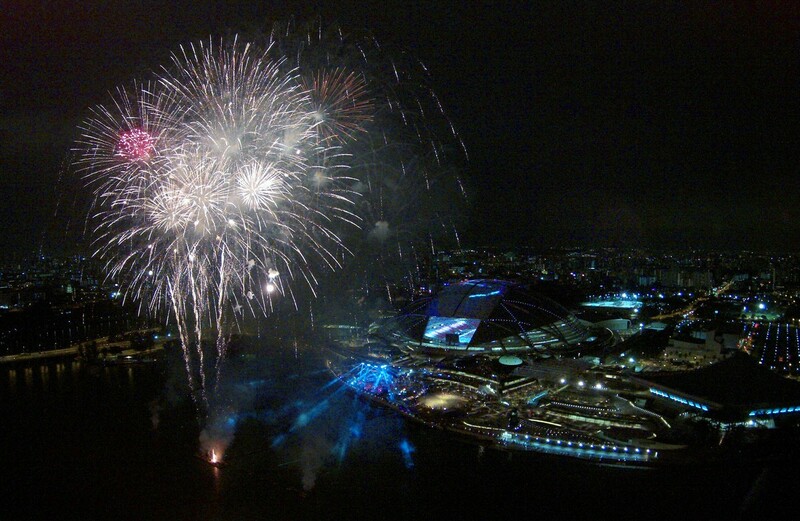 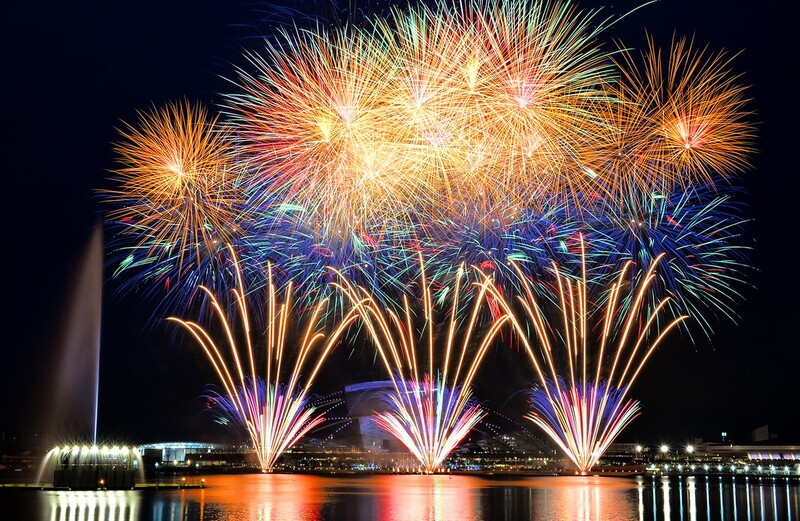 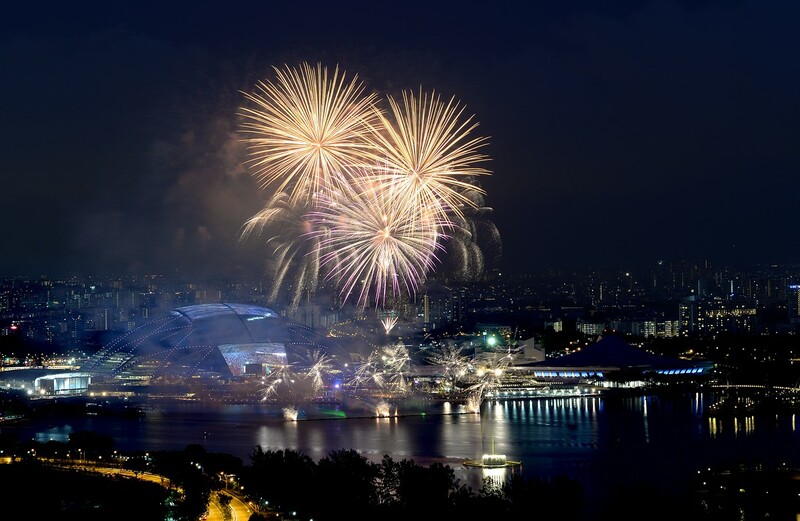 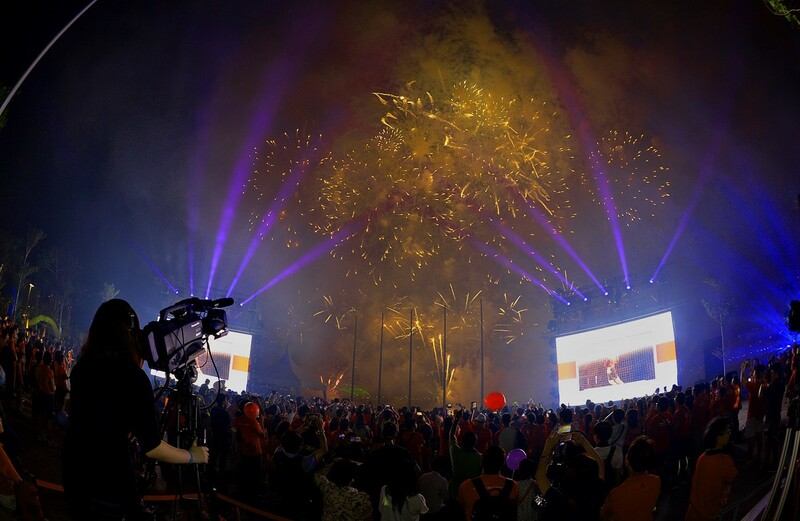 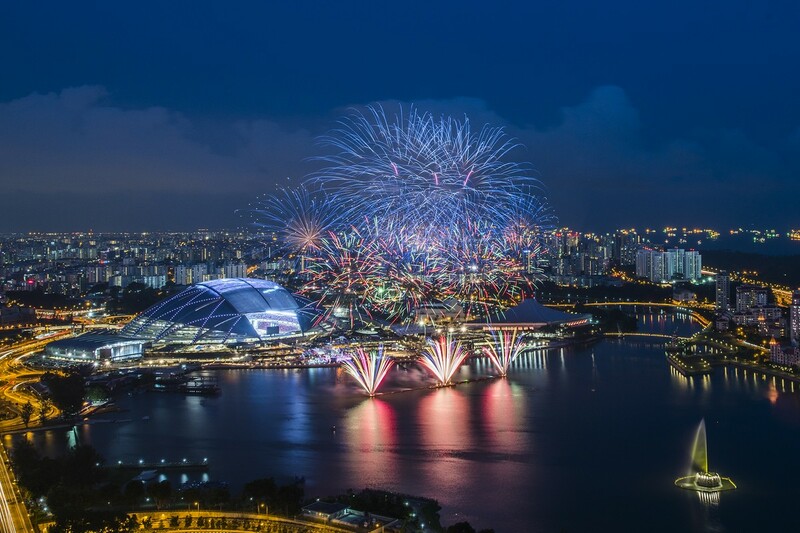 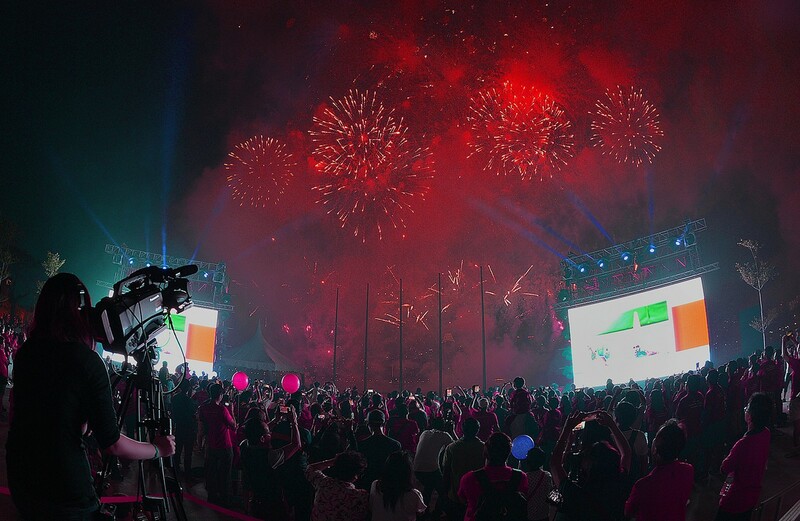 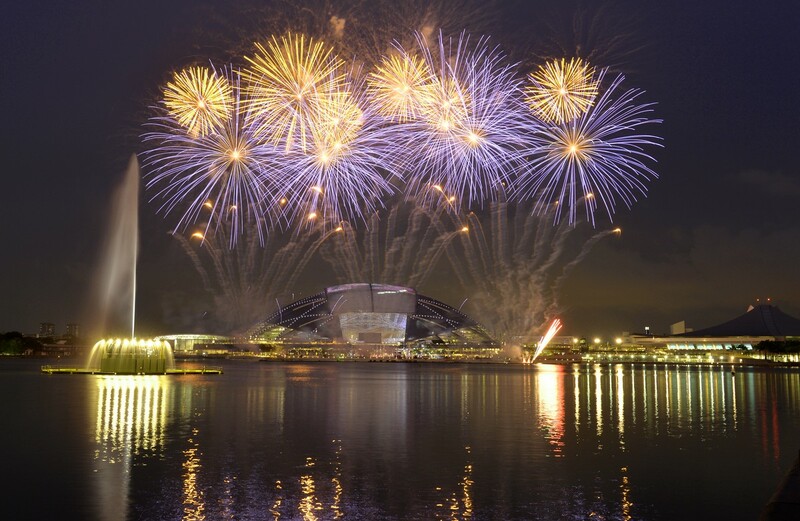 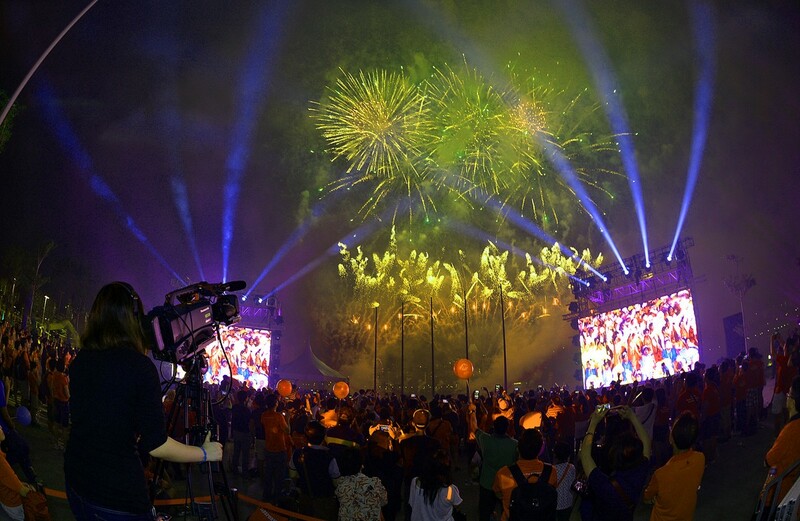 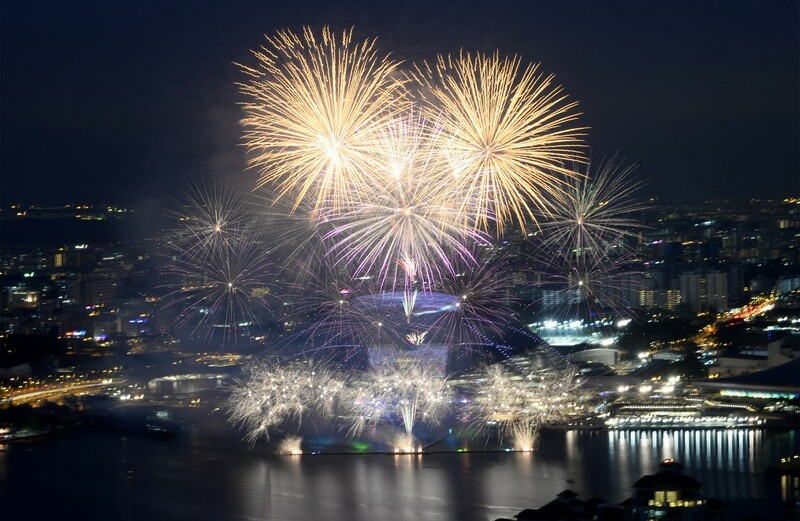 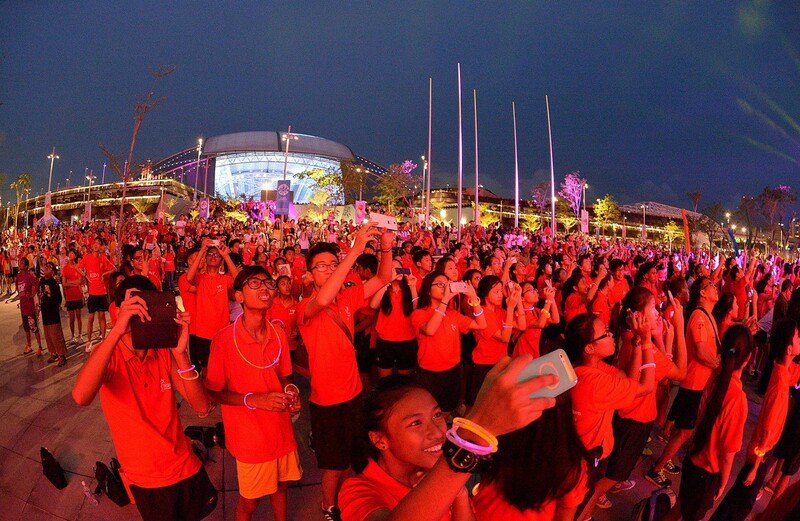 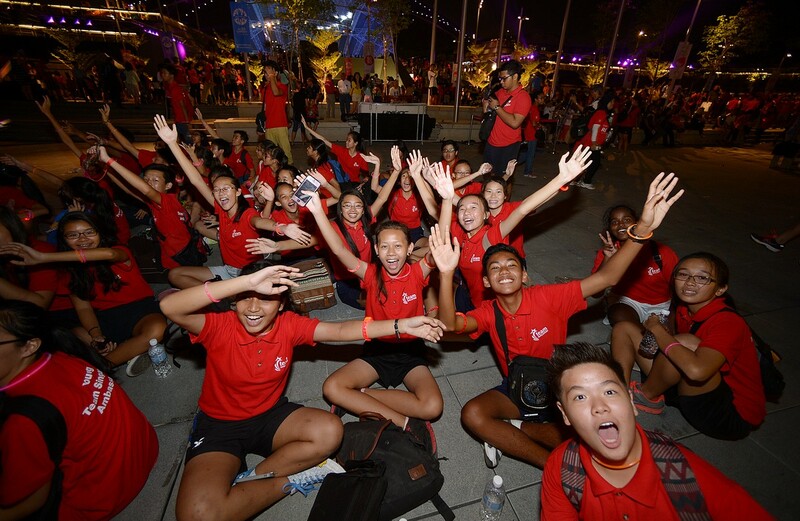 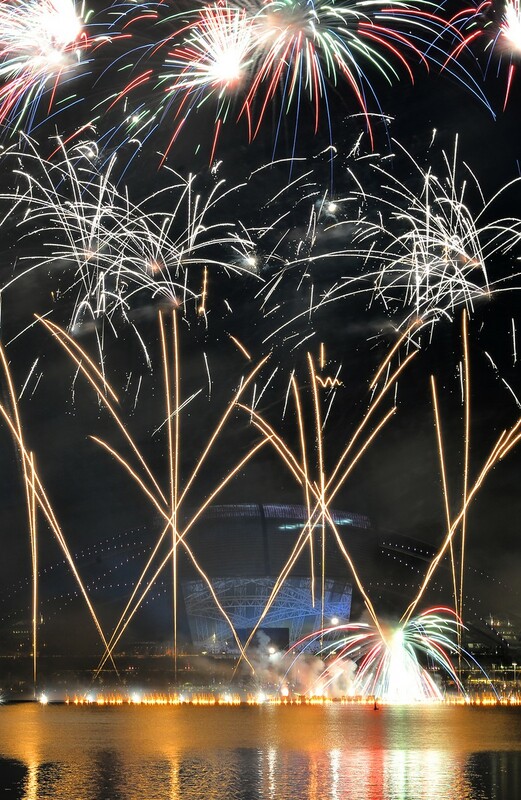 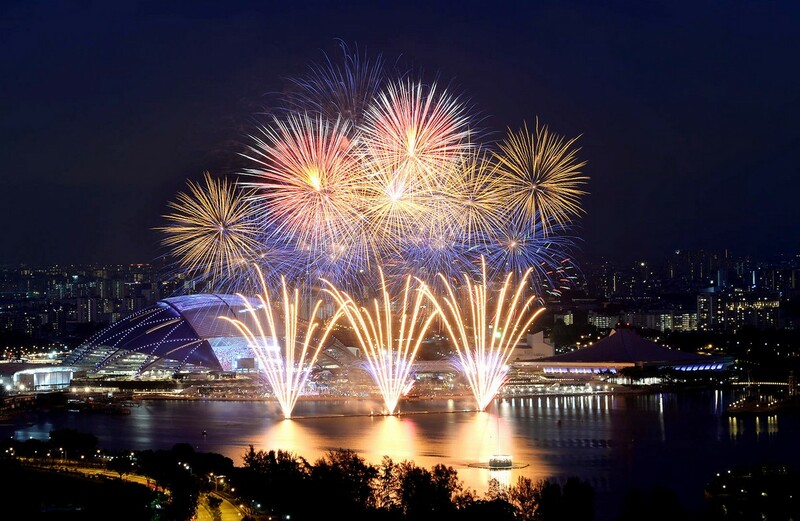 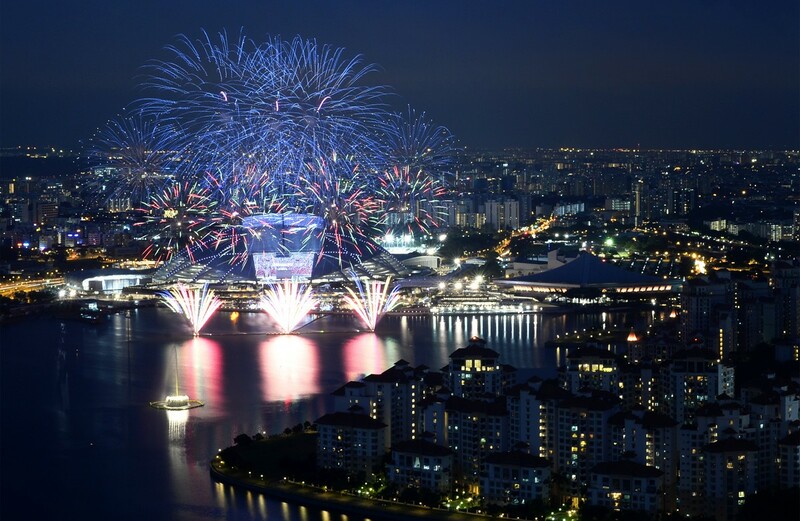 Fireworks lit up the skies above the Sports Hub on Friday night as thousands of Singaporeans explored for the first time the long-awaited venue. 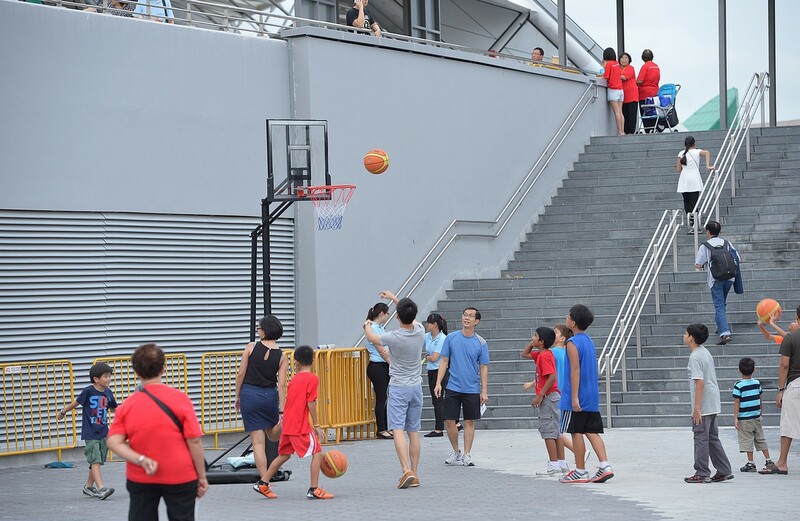 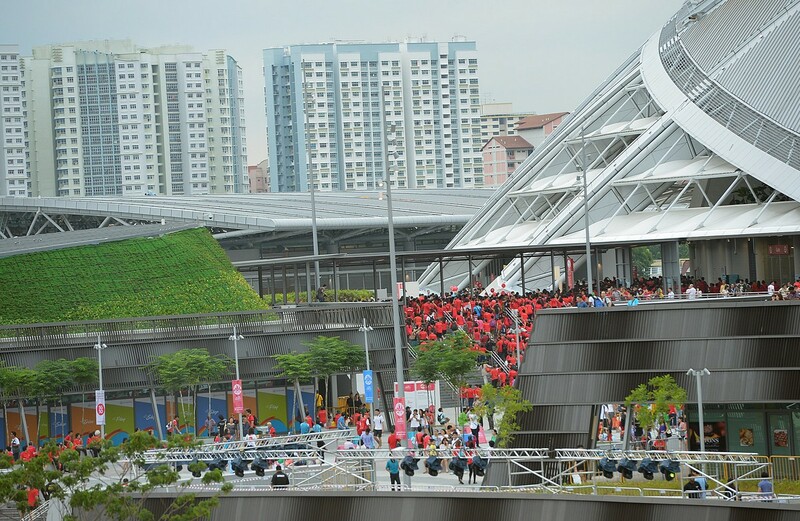 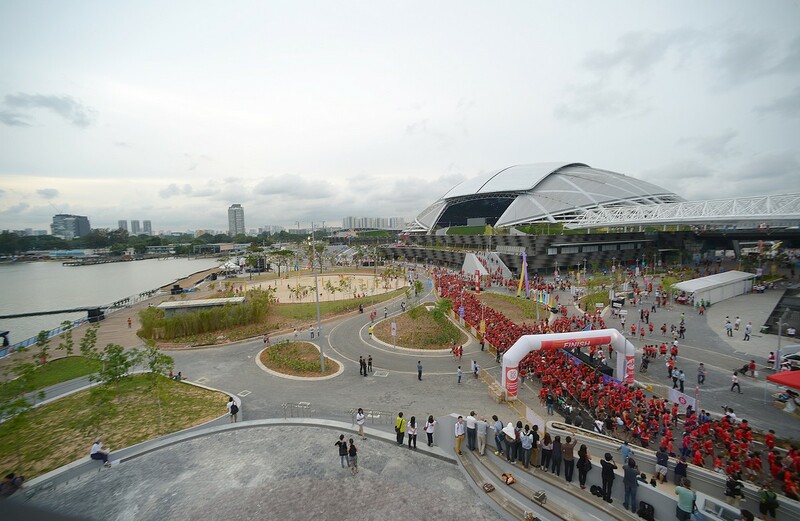 Although facilities such as the Sports Hub centrepiece, the National Stadium, were not yet open to the public, visitors still came from 4pm onwards to walk around the 35ha compound. 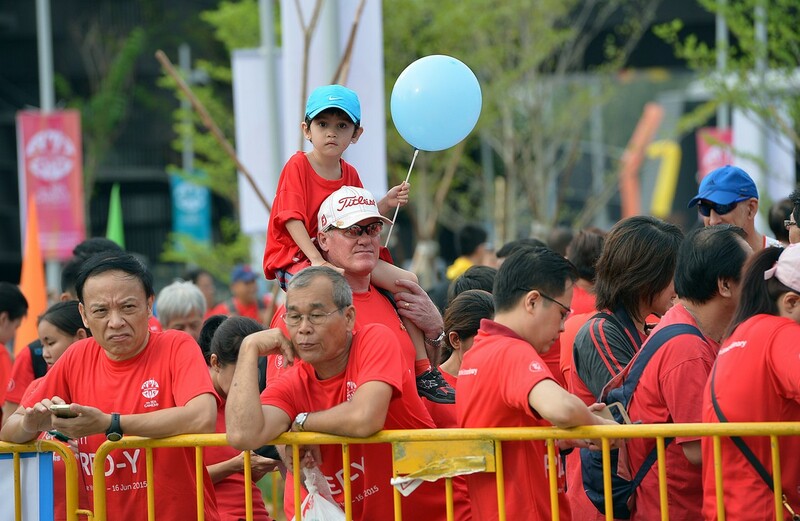 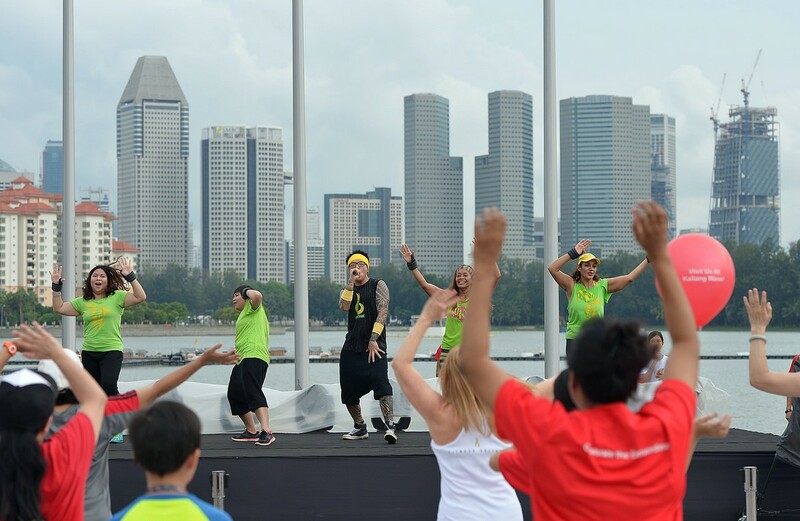 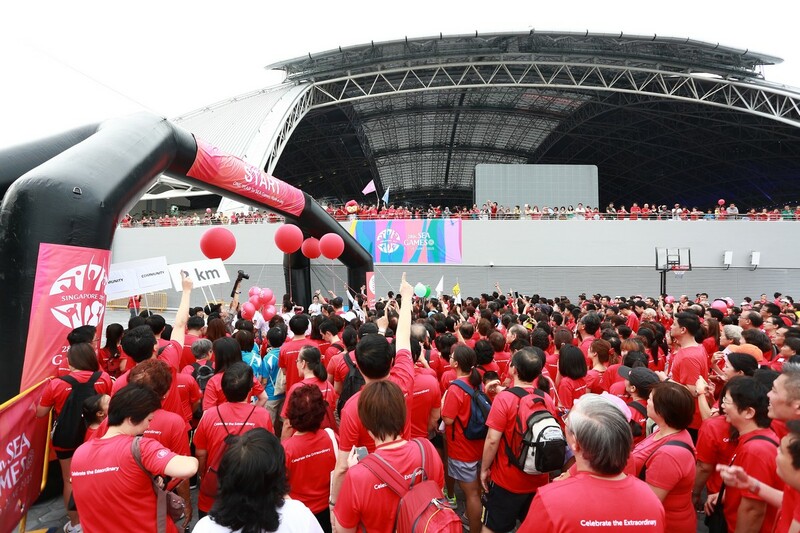 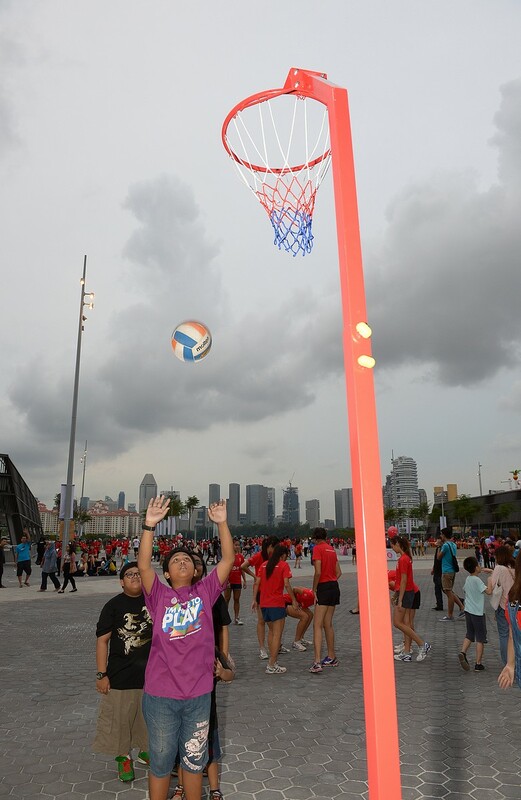 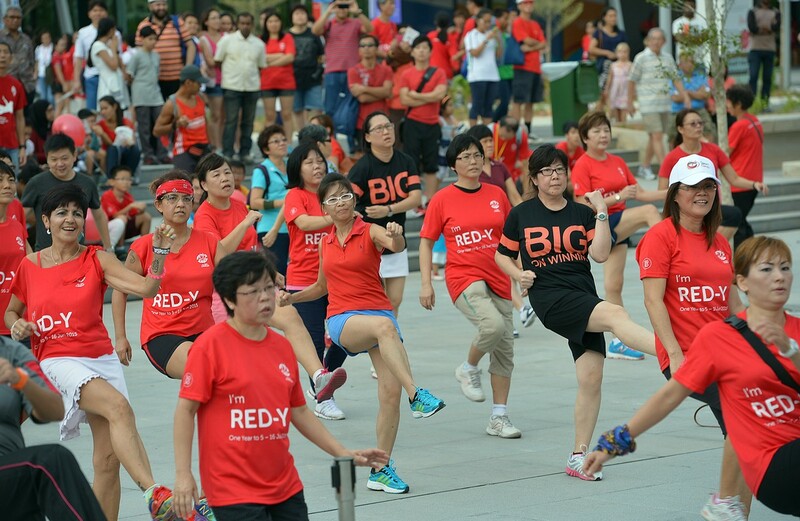 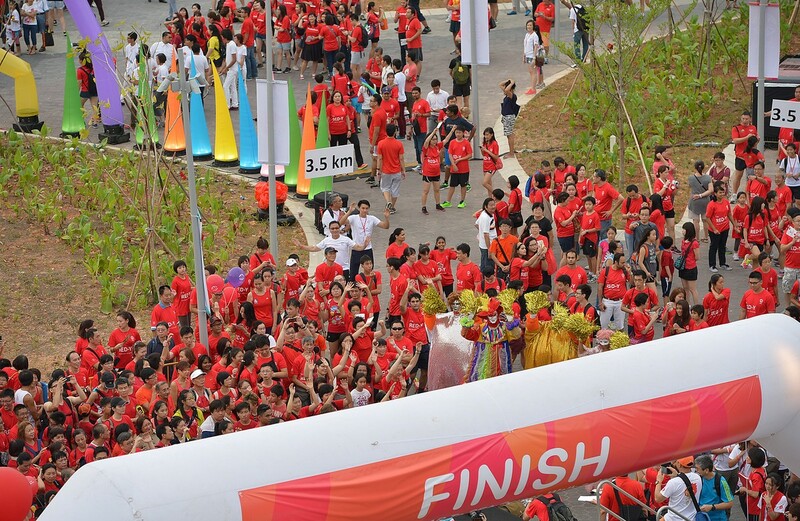 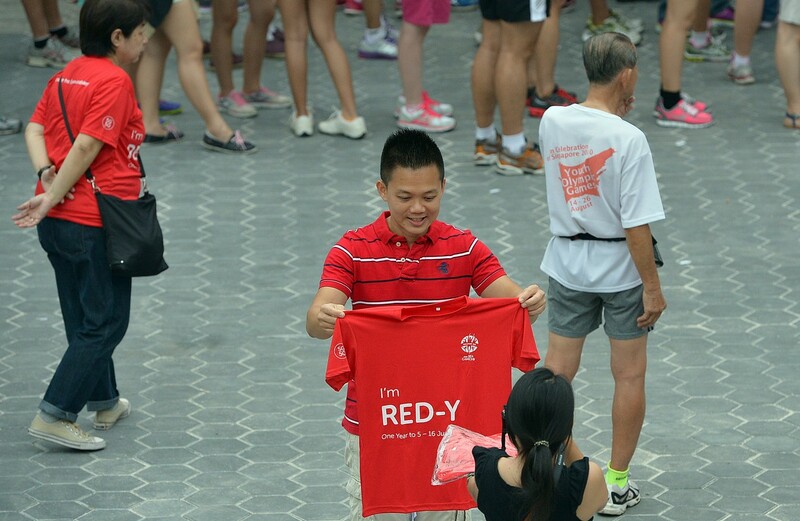 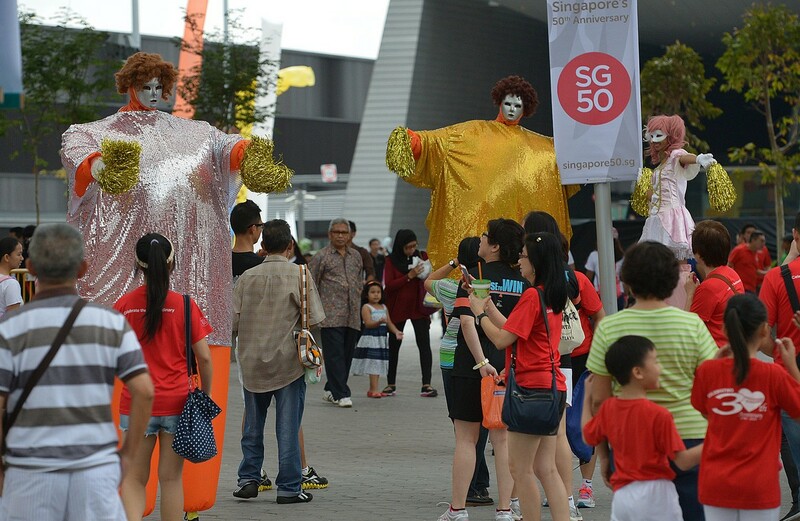 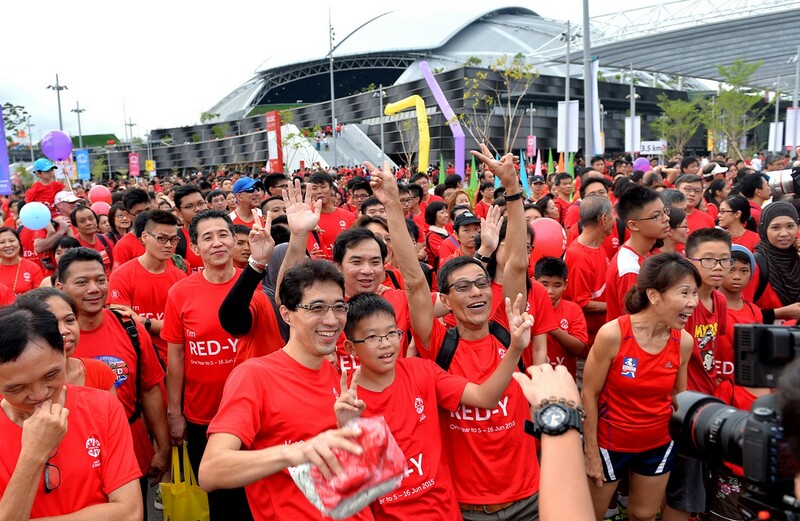 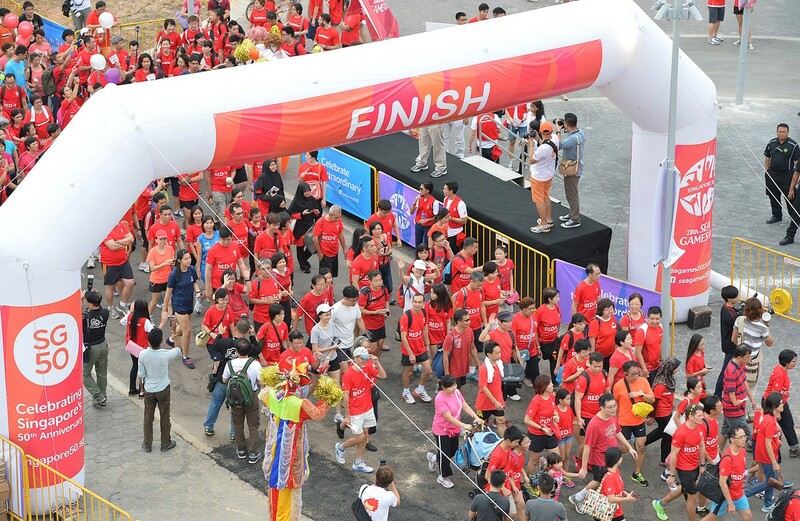 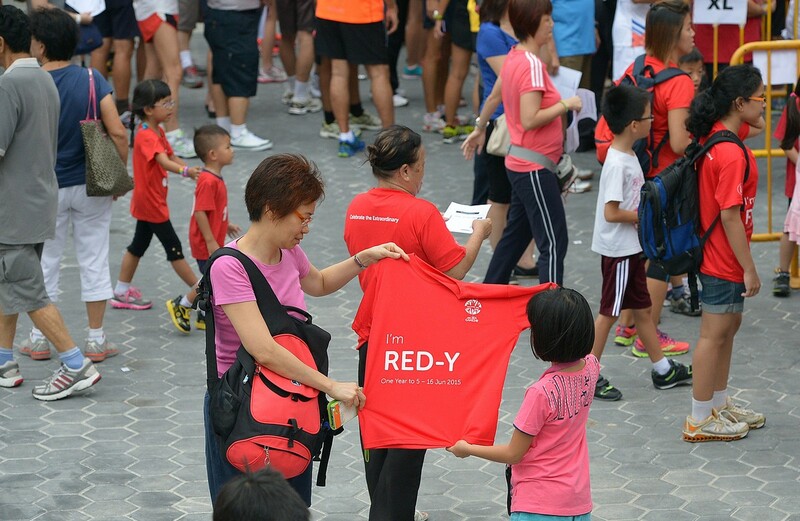 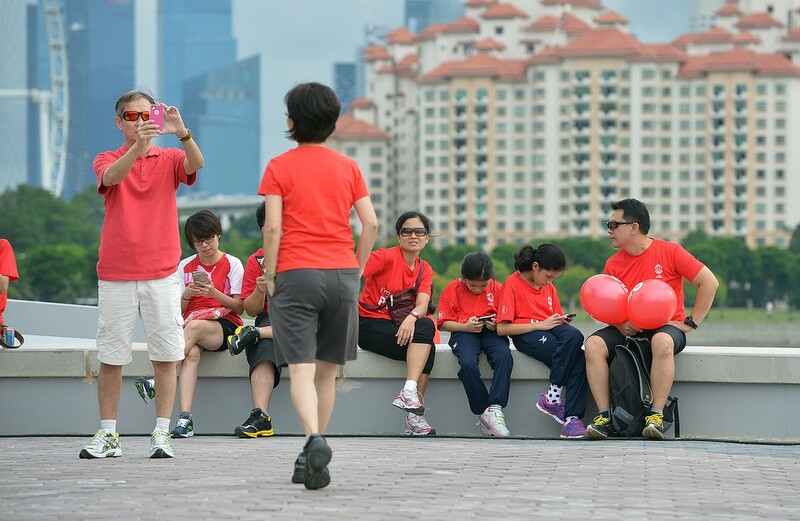 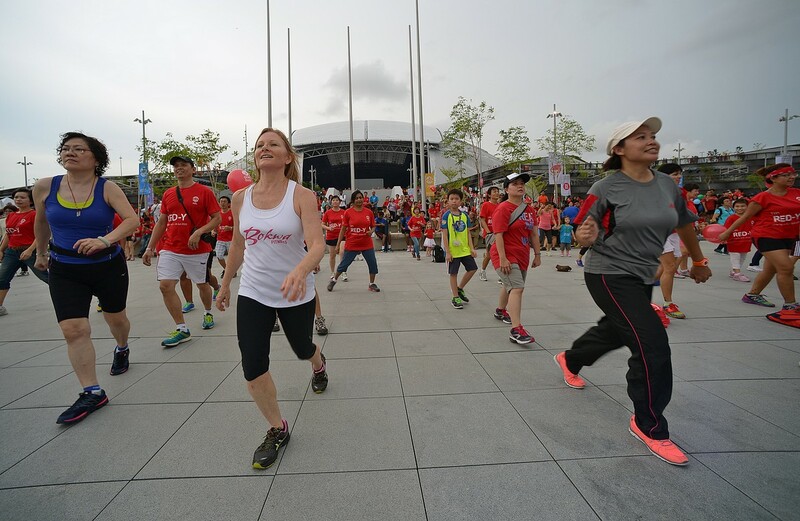 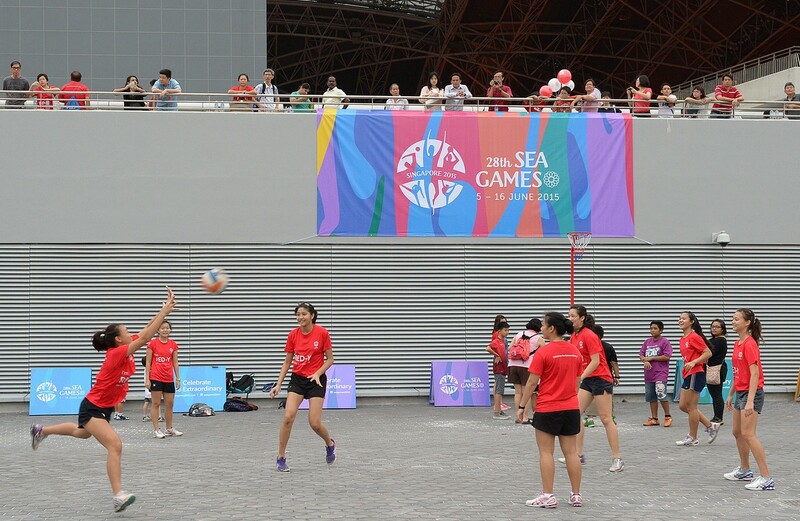 They played games such as beach volleyball and floorball along its waterfront area, shopped at the Kallang Wave mall and about 6,000 people took part in a 'walk-a-jog' event. 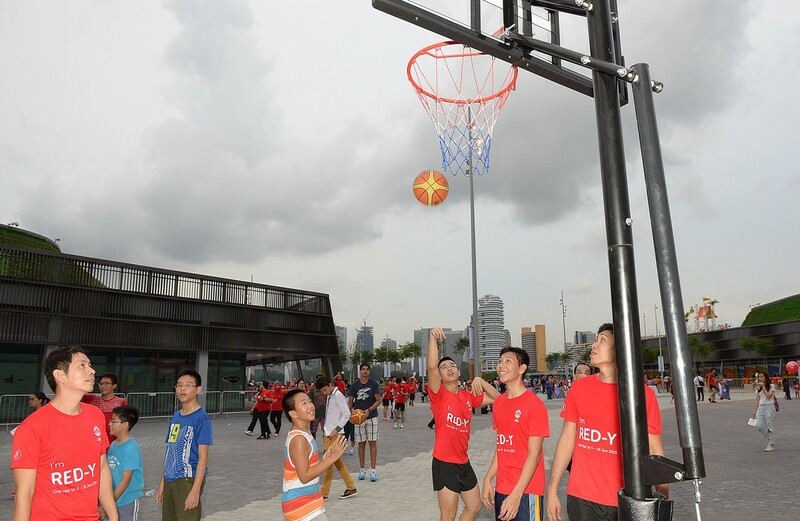 All sports facilities are free for use until July 31. 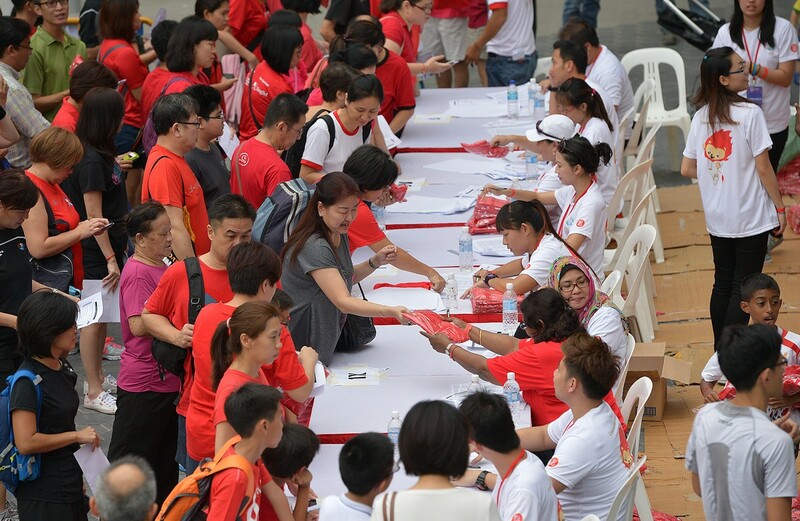 Fees have yet to be announced.